The first "After School Satan Club" has received approval to operate at Sacramento Elementary School in Portland, Oregon. According to reports, the Satan Club began its activities on November 16, 2016. A second Satan club opened on December 14 at Point Defiance Elementary School in Tacoma, Washington, amid a large TFP sponsored protest. However, it's not too late to join the protest. 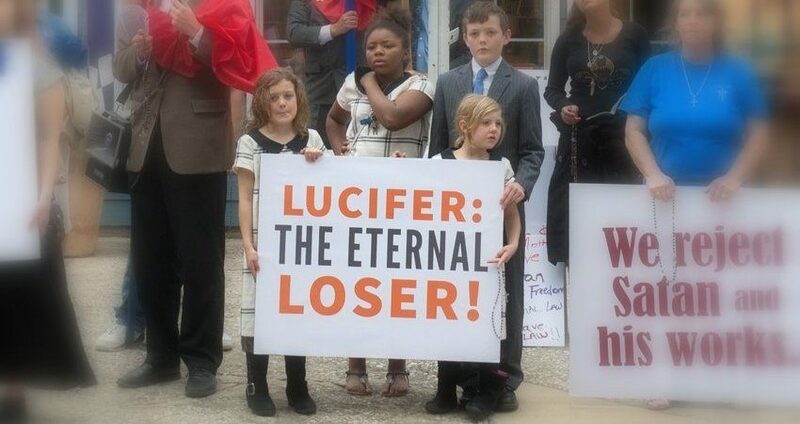 The Satanic Temple wants to open at least nine Satan Clubs, which would expose young and impressionable children, ages 4 to 12, to the greatest possible spiritual danger -- the destructive influence of Hell. Every God-loving American should oppose the promotion of Satan in our public school system. Please show your rejection of the satanic program by signing this petition, and spreading the word to your friends. Satan is not welcome, especially not with our children! I strongly urge you to say NO and resist and reject the “After School Satan Club” targeting little ones under your care. America is One Nation Under God and I encourage you to use every legal means to protect our children from Satan, the father of lies.